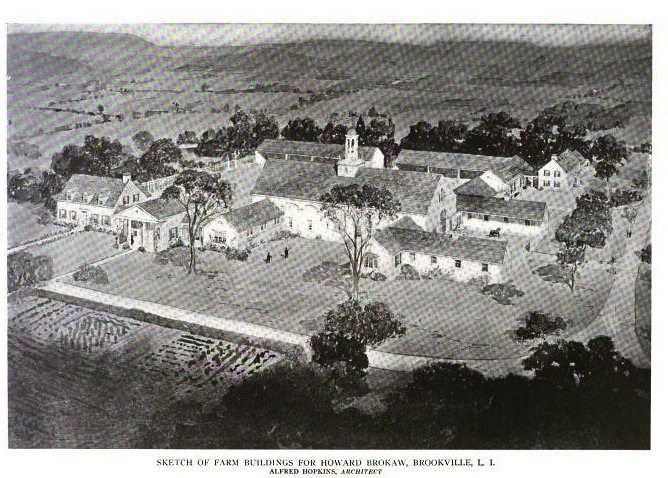 The Alfred Hopkins designed farm group to 'The Chimneys', the Howard Brokaw estate in Muttontown. Click HERE and HERE for more on 'The Chimneys'. 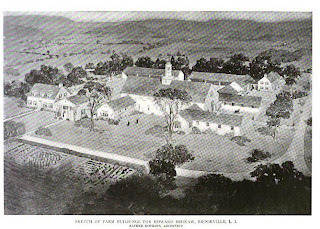 Photo from American Architect & Architecture, 1920. Le Hameau. Let them eat cake, I'm going out to the dairy and pretend I'm a farmer. I was thinking of Marie Antoinette's 'Le Hameau', where she played at being a shepardess while France roiled around her, of course----the comparison comes to mind every time I look at one of these elaborate stock broker farmlets, but nice video nevertheless. I'd live there.